"Dancing with the feet is one thing. Galina Alexandrova was born in Moscow, Russia to parents who were principal dancers with various companies. Galina's father, Mikhail, was a soloist with the Moiseyev Dance Company, and her mother, Svetlana, was a principal with the Stanislavsky Ballet in Moscow for over 20 years. At the age of ten, Galina was accepted to the legendary Bolshoi Ballet Academy in Moscow. After graduating, Galina was personally selected by Artistic Director Yuri Grigorovich to become a member of the Bolshoi Ballet. Galina danced there for seven years, performing many soloist roles in all of the Bolshoi's repertoire. After meeting her American husband Ken, Galina immigrated to the U.S. (San Francisco), where she joined the San Francisco Ballet. While with the company, she performed many soloist roles in works by George Balanchine, Lew Christensen, Helgi Tomasson and many more. She also worked directly with world-class choreographers such as James Kudelka, David Bintley, and Glen Tetley. Galina continued to dance even after the birth of her two elder children, Sasha and Katia. After the birth of her third child, Nastia, Galina retired from professional dancing. In 2003, the opportunity to become Artistic Director of City Ballet presented itself. Already equipped with vast knowledge from her own training and career in both Russia and America, Galina was further mentored by her mother, a master teacher at the Bolshoi Ballet Academy in the art of teaching the Vaganova syllabus. Over her tenure as Artistic Director, Galina has built an international reputation for the school as being one of the finest Vaganova training facilities in North America. Since becoming Artistic Director, many of Galina's students have gone on to dance professionally on companies such as ABT, Dutch National Ballet, Joffrey Ballet, Semper - Oper Ballet Dresden, Germany, Austin Ballet, Alberta Ballet, Colorado Ballet as well as many more around the world. We are very proud to work in partnership with Galina’s own ballet school , The Bolshoi Ballet Academy in Moscow, Russia where Galina’s top students have travelled numerous times to study at the illustrious school. In fact, Galina’s students were the first ever American women to graduate from the Bolshoi Ballet Academy. Ms. Alexandrova has been featured in Dance Teacher Magazine, Pointe Magazine, and Dance Magazine. She has been named outstanding teacher 6 times by the Youth America Grand Prix. Nikolai Kabaniaev has been in the field of classical ballet for over 40 years. He is a graduate of the prestigious Vaganova Ballet Academy in St. Petersburg, Russia, and before immigrating to America in 1989, danced for seven years with the world renowned Kirov Ballet (Mariinsky). There, he performed various soloist and principal roles in such ballets like Giselle, Les Sylphides, Cinderella, Paquita, Nutcracker, Napoli and Fountain of Bahchisarai. Mr. Kabaniaev served as Associate Artistic Director, Choreographer and Men's Technique and Partnering instructor for the Kirov Academy Ballet of Washington DC. for three years He represented Kirov Academy as a judge at the 2011 Youth America Grand Prix New York Finals and 2012 Japan Grand Prix in Tokyo. Mr. Kabaniaev has choreographed over 30 original ballets for numerous companies around the United States and abroad including: Miami City Ballet and Maximum Dance Company in Miami, Florida, Kirov Academy of Ballet in Washington DC, New Orleans Ballet Theater in New Orleans, Louisiana , Faruk Rusimatov Touring Company in St. Petersburg, Russia, Nevada Festival Ballet in Reno, Nevada, Maui Ballet in Maui, Hawaii, Ballet Fantastique in Monterey, California and many more. Mr. Kabaniaev has staged classical repertoire such as Swan Lake, Sleeping Beauty, Giselle, La Bayadere, Paquita, Nutcracker, Chopeniana, La Silphide, Le Spectre de la Rose and La Vinvandiere to name a few. Mr. Kabaniaev has taught ballet classes for San Francisco Ballet and San Francisco Ballet School, Boston Ballet, Maui Ballet, Mazatlan Ballet (Mexico), Reiko Ivache Ballet (Japan), Diablo Ballet, Contra Costa Ballet and Company C Contemporary Ballet in Walnut Creek, California. Ms. Alexandrova was born in Moscow, Russia and graduated from the world renown Moscow Academy of Choreography (Bolshoi Academy), where she graduated with honors. Upon her graduation, Marina was selected from the school to become a member of the Bolshoi Ballet. While there she danced in virtually all of the Bolshoi's repertoire, highlighted by rich classical ballets such as Swan Lake, Giselle, The Sleeping Beauty, Spartacus and many others. Marina danced solo roles in both operas and ballets such as Ivan Susanin, Prince Igor and Mazeppa. In 1991 she became a principal ballerina in the Moscow Festival Ballet, where she traveled the world dancing many of the lead roles. In 2003, she was awarded as an "Honored Artist of the Russian Federation". In 2006 Ms. Alexandrova graduated with honors from the Russian Academy of Theatrical Art with a degree in ballet pedagogy. Marianna Lobanova is classically trained in the technique and aesthetic of the Russian-based Vaganova method of classical ballet. After graduating from Russia's Saratov Ballet Academy in 1976 she danced as a soloist at Lvov Theater of Opera and Ballet. In 1980 Ms. Lobanova began her pedagogical career at Saratov Ballet Academy where she worked as lead pedagogue and methodist until 2005. Madame Lobanova holds a Master's Degree in Theater Arts from GITIS, a prestigious State Institute of Theater Arts in Moscow, Russia as well as a Bachelor's Degree in Pedagogy of Classical Ballet from Vaganova Academy of Russian Ballet in St. Petersburg, Russia. Between 2005 and 2017 Madame Lobanova taught at the Academy of Dance in Mexico City and at Kirov Academy of Ballet in Washington DC. Ruzana Iremashvili is originally from Tbilisi, Georgia. She started her ballet studies at the V. Chabukiani’s Tbilisi State Choreographic School, graduating as a Ballet Artist. 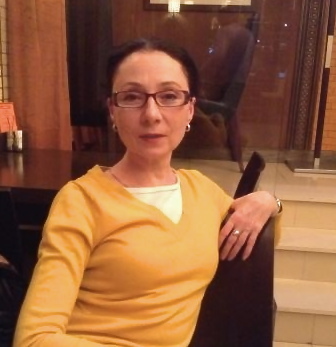 Without delay, she joined the State Ballet of Georgia, whose Artistic Director is Nina Ananiashvili - a famous Prima-Ballerina of the Bolshoi Theatre and contemporary of Galina's. With the State Ballet of Georgia, Ms. Iremashvili danced solo roles in Nutcracker, Swan Lake, Laurencia, Don Quixote, Giselle, Romeo and Juliet, touring with the company to Israel, China, Armenia and other countries. While dancing in the company, she worked with renowned choreographers such as Giorgi Aleksidze, Michael Lavrovsky, Yuri Grigorovich and many others. Ruzana also attended the Tbilisi State University of Culture where she majored as a Ballet and Character Dance teacher/choreographer and earned her Bachelor Degrees in Dance. From 2010-2017, she lived to Miami, Florida and joined the Vladimir Issaev School of Classical Ballet as a Ballet and Character Dance Teacher-Choreographer. She choreographed numerous pieces for students of Vladimir Issaev’s School of Classical Ballet, and worked at its Summer Intensive Program with renowned guest teachers such as Elena Zabalkanskaya, Andrey Bossov, Larissa Ponomarenko. From 2016-2017, she doubled as a Ballet teacher/choreographer and judge for student choreography at the Miami Arts Charter School. Before joining City Ballet, Ruzana guested as a Ballet and Character teacher at numerous Summer Intensives and was a full-time teacher/choreographer at Soo Dance Company and Academy. Claudia Alfieri originally trained at Delaware Regional Ballet with Tatiana Akenfieva Smith and Cherie Noble, Pennsylvania Ballet School with Lupe Serrano and Bojan Spassoff, then finally at the School of American Ballet in New York City. Chosen personally by Mikhail Baryishnikov, she started her professional career at the age of 16. As a soloist with American Ballet Theatre, Boston Ballet, San Francisco Ballet then Smuin Ballet; she has danced such repertoire as the title role in Giselle, Swanhilda in Coppelia, Tatiana in Onegin and Desdemona in Othello just to name a few. She has worked and had roles created on her with some of the world’s most renowned choreographers including Twyla Tharp, Agnes DeMille, Lar Lubovitch, Mark Morris, Sir Kenneth MacMillan, Michael Smuin and Mikhail Baryshnikov. Claudia also performed in Broadway's National Touring production of Nicholas Hytner's "Carousel" in the role of Louise. She is an ABT® Certified Teacher, who has successfully completed the ABT® Teacher Training Intensive in Primary through Level 5 of the ABT® National Training Curriculum. Allegra Bautista, an SF native, graduated from Saint Mary’s College of California with a double major in Dance and Liberal & Civic Studies. She was classically trained at San Francisco Ballet, City Ballet School, and the SF Conservatory of Music Preparatory Division for classical guitar. She has worked with Garrett + Moulton Productions, Amy Seiwert, Sidra Bell, RAWdance and Concept o4. She currently dances with Kristin Damrow & Company and PUSH Dance Company. She is also a certified yoga instructor. Svetlana received her training in Artistic and Rhythmic Gymnastics at the world renowned Zaporozhye Gymnastics School in Ukraine. The school produced many Ukraine and Soviet National Champions, World Champions and Olympic medalists. Her ballet training was an organic part of the gymnastics school program. Later, Svetlana continued her rhythmic gymnastics training in Minsk, Belarus under the tutoring of the Belarus National Team coaches. She is a recipient of the Master of Sports of the U.S.S.R. in Rhythmic Gymnastics Achievement Award and has won numerous national and international competitions. She is also a graduate of the Belarus Institute of Physical Education and Sports, with a Bachelor of Science in Gymnastics Training and Exercise Therapy, given with distinction. Stretching and strengthening are a huge part of all levels at City Ballet, and with exercises specifically designed to enhance ballet technique we feel nobody does it better than Svetlana Scherba.